Schnell cycles as a brand have been gaining popularity in India for the past few years. Schnell is a German word which literally means “Fast” or “Quick”. This helps you understand the positioning of the bicycle. However, you will be surprised to know that this is not a German company. I will talk more about the company and brand origin in the bottom half of the article. 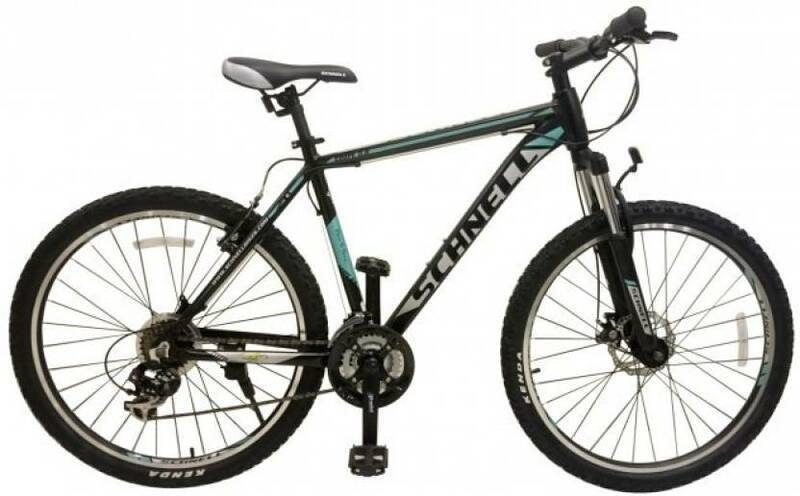 This is a review article to compare price & features of Top Schnell Bicycles in India. I will be listing down the best Schnell Bicycles Hybrid & Mountain Bikes that you can buy online. As a brand, they aim to fill the void between budget bicycles and expensive brands. They aim to provide frame designs and bike components that rival the top brands but at a lower price point. 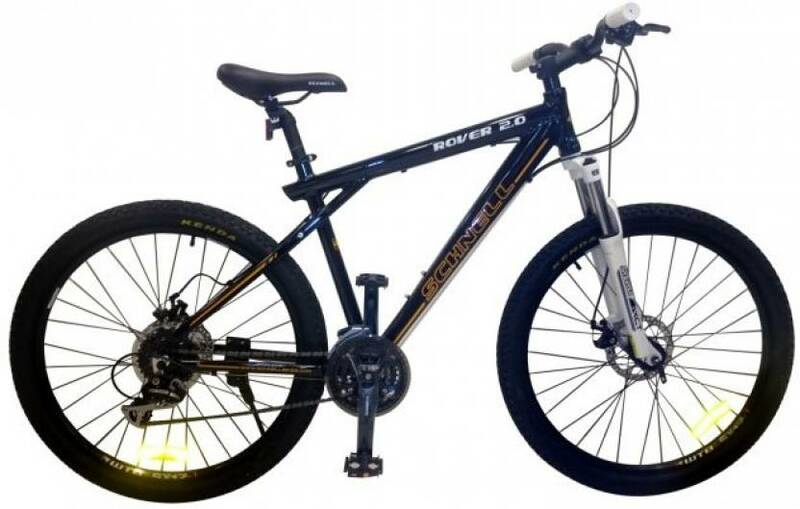 Rover is probably one of the best and amongst the most successful Schnell cycle models in India. The success of the first model prompted the company to come up with an improved Schnell Rover 2.0. The bicycle alloy frame looks nicely finished. The welded joints are perfect and the paint job on the bicycle looks premium too. The ride quality of the bicycle comfortable. You can use this bicycle for your daily commutes of over 10 to 15 kilometres with ease. Note – Flipkart product title states the colour of the product as White. 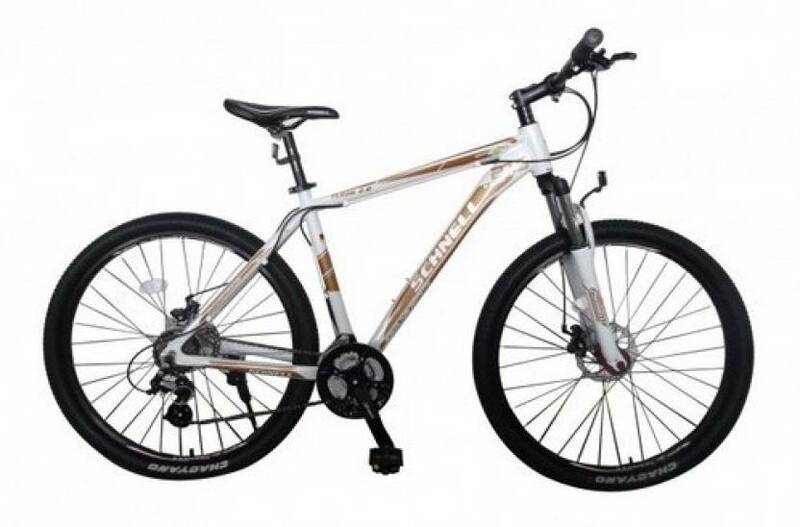 So either contact the seller on the product page for a confirmation or be flexible with the colour of the bicycle. This bicycle uses an MTB frame made from Aluminium alloy. The frame size for this product is 18 Inches. Both front and rear tyres use disc brakes. Gears: The bicycle comes with a total of 24 Gear combinations. The Schnell Rover 2.0 uses a Shimano Tourney as the front derailleur. The rear derailleur uses a Shimano Acera. The bike uses easy fire Shimano M310 thumb shifters. The bicycle is a hardtail model. It uses Suntour Fork Suspension in the front. The cycles use Kenda 26 Inch tires which are mounted on to double walled Alloy Rims. This I feel is the best looking bicycle of the three listed in this review. The quality of the bicycle is quite similar to the Rover model above, especially the frame. However, the main difference is the rear derailleur. This bicycle uses a basic version, while Rover has a much better derailleur. This makes a significant difference in the shifting quality of the bike. The second difference is the frame size. The available frame size on Flipkart for this particular model is 17 Inches. So if you are 5’10” tall, this bicycle might not suit you. This bicycle too uses a similar Aluminium alloy frame as the Schnell Rover 2.0. The frame size for this product is MTB 17 Inches. Gears: The Schnell Rover 2.0 uses a Shimano Tourney as both back and front derailleur. The bike uses easy fire Shimano EF51 shifters. The cycle is equipped with a total of 21 Gears. Crankset used is the Prowheel alloy. The bicycle is a hardtail model. It uses Fork Suspension in the front. This is the most budget-friendly bike amongst the three bicycles on this list. The cycle (At the time of writing) was priced under Rs. 15000, which I feel is a good deal and value for money. This particular model has a white and gold finish to it and makes the bike look attractive. Apart from the fact that the frame size of this bicycle is bigger at 18 Inches. All other features are same as the Schnell Coupe 0.8. If you plan to use these bicycle for your daily commute or longer trips over the weekend, you can upgrade the saddle to give you a better riding comfort. You can try a few saddles to see which one suits you the best. If you use these bicycles only on paved roads, then you can upgrade your tyres. You can use some slick tyres, which will reduce the resistance on the road. You will need less effort and commute more easily. Optionally, if you are looking at buying a bicycle in the range of Rs. 20,000, then you can also read my other article listing down best bicycles under 20000 in India. Have you ever tried or bought a Schnell cycle? How has been your experience with their product and service? Do share your feedback with other readers in the comments below. I have been using Schnell Adventure single gear a bit more than 2 and a half years now. It’s a good bike. I ride it almost 4 times a week. Never had much problem with it. Sometimes on Sunday mornings distance rode one way is more than 25 kms. In a week I almost do a bit more than 50 kms in total. I would like to have Schnell Adventure in 29er Aluminium Alloy 19 frame, gear Shimano XT, tires Ralson Marco Explorer 29 inches, dual Suspensions like Polygon Xtrada and Trek X Caliber 9 and a combination of both. How do I communicate with Schnell? Is Schnell made in India? Unfortunately, their website is no more functional. I don’t know how you can communicate with the brand. You may try leaving a comment on the Flipkart/Amazon (on the product page) and hope the seller responds. Which is the best cycle amongst schnell M500 and montra madrock?? Also suggest best mtb in that range if any have ? I haven’t tried the M500, however, the Madrock is a good choice. They have a 26T as well as 27.5T variations available (Check Here). Buy the one that best suits your needs. Should I go for montra hybrids or schnell hybrids?? My personal choice would be Montra.